StartupJuncture visited drone startup AvioniCS Control Systems in Leiden and discovered there are ways to make money as a startup, even when current legislation is not in your favour. We interviewed COO José Antonio Perez-Mariscual and Head of Communications Libe Aguayo Aguinaga. AvioniCS Control Systems was founded by Spanish entrepreneur Mauro García when he participated in the Business Incubation programme of the European Space Agency in Noordwijk in 2012. García has a firm background in space technology, having worked for the French space agency in Toulouse and for ESA in Noordwijk. Using this knowledge, the main goal of the incubation programme was to take the existing auto pilot technology used in satellites, and develop it into an auto pilot system for drones. This eventually resulted in the first product, the Hermes Auto Pilot. The team that Aguayo Aguinaga is talking about is quite special. 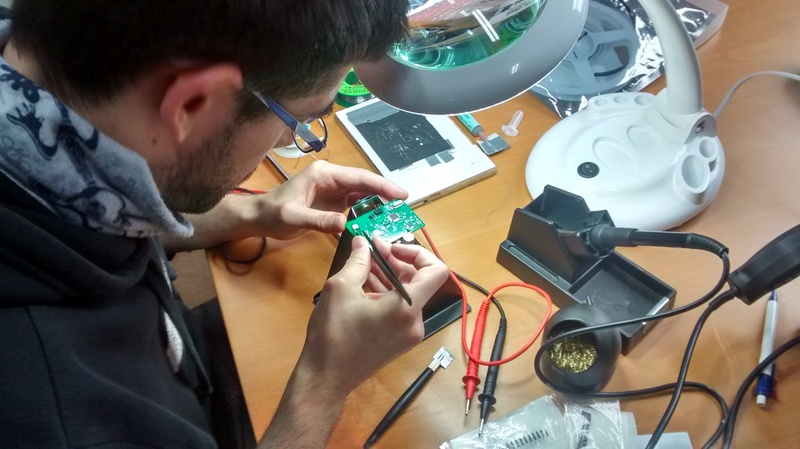 After being founded, AvioniCS Control Systems started with interns and currently the team consists of eight people, mainly composed during the last twelve months. Seven of the team members are originally from Spain, because founder García wanted to help highly skilled people who have difficulties finding jobs in Spain due to the high unemployment rate there. The air quality system mentioned above, is one example of a product that is part of something that gets a lot of attention nowadays: the Internet of Things (IoT). AvioniCS Control Systems has a lot more IoT products on their sleeves. Perez-Mariscal and Aguayo Aguinaga tell me about a collision detection system, that can be used in cars, but also in extreme sports. After a car crash or a snowboard accident, the system sends a signal to the manufacturer, emergency services, or to a relative. Then there is Speed up Smart Farming, a set of systems to be used in agriculture. AvioniCS Control Systems is developing this product as part of the pan-European grant programme Speed Up Europe. 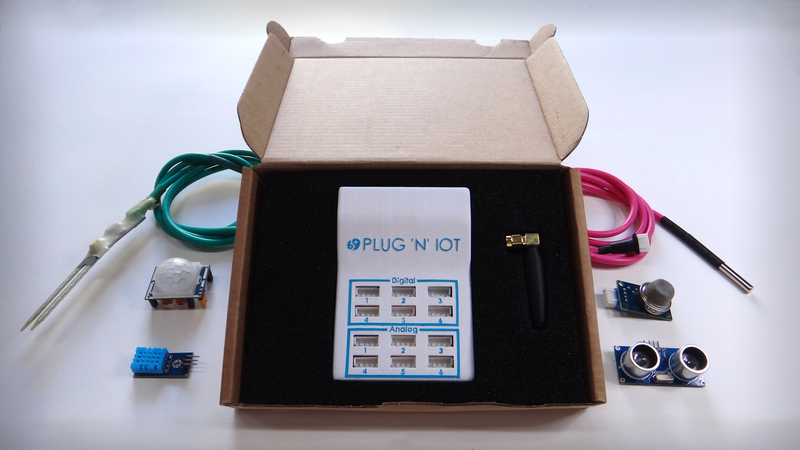 We were also shown a working prototype of the Plug ‘n’ IoT, a product that will be launched through a Kickstarter project within the next few days. It’s basically the Internet of Things in a box. To be more precise, it’s a device, where all kinds of sensors can be plugged in that can be programmed to trigger an app to perform all kinds of actions. Imagine plugging in a humidity sensor that triggers the app to message you when your plants need to be watered. Actually, the office in Leiden is lined with all kinds of drones, all containing an auto pilot system made by AvioniCS Control Systems. Most are of the familiar quad-copter variety. One that stands out is a fixed-wing model, that looks like a miniature airplane. Fixed-wing drones, being faster and much more durable, apparently are going to be a big thing in the near future. So it makes sense to start developing auto pilot systems for this type of drone as well. For Wings of Aid, AvioniCS Control Systems is working together with InnovationQuarter. They are looking for additional investors. AvioniCS Control Systems is located in Leiden, but most of the team members are from Spain. How does the startup climate differ between The Netherlands and Spain? Aguayo Aguinaga adds: “In The Netherlands there are a lot of young people with ideas that want to invest their own money into a startup project. Because if this, there a many opportunities to meet each other and to network. In Spain, people have a different mindset and there is less entrepreneurship. We have to wait and see what happens with the plans for Drone Valley. We also have to see if new legislation for the use of drones is going to be implemented soon. On the first of July, the commercial use of drones in The Netherlands should see fewer restrictions, and the first of October brings further changes to current legislation.